You can thank Dave Broom for all of this. “This” being the Spokane Whiskey Club’s periodic focus on Canadian whisky. Canadian whisky as a category has responded well in terms of growth and style in recent years, but only after a century of existing somewhere at the bottom popularity wise. Consequently, most introductory whisky books (and the most popular ones) did not see Canadian whisky as worthy to sit among the big three of Scotch, Bourbon and Irish. But the World Atlas of Whisky by Dave Broom, thank you very much, felt it was just fine to feature Canadian Whisky without even blinking. If it is good enough for Dave Broom, then it is good enough for me, and if you have something to say you can go ahead and park it sideways. Anyways, his book was the first whisky tome I purchased, and therefore shaped how I viewed the drink. To me, Canadian whisky, despite occasional evidence to the contrary, is getting not just bigger but better. On to today’s selection. Nose- Dessert in a glass – maple, brown sugar, toffee and caramel. Charred oak. Candy corn, honey. Peaches and almonds. Big. Taste- Sweet (shocking, I know) with grapefruit. Creamy liquer feel. The port seems to give it body and heft. Finish- Grapefruit pith. Pie crust, fades to sour. Medium length. Comments- Straight forward dessert whisky. Doesn’t remotely approach any interesting complexity apart from the sweetness, but it doesn’t have any rough edges either. Sits well in a tumbler, not much fun in a tasting glass. For the sweet tooth in you. If you’re looking for complexity, seek out Forty Creek Evolution. Rebarreled in french oak previously holding cabernet sauvignon. Wonderful stuff ! I found the Evolution on a par with Lot 40 with the exception of the additional $30 for FCE. Excellent sipper though but I am undecided as to but another and put it away. Now we are talking. The Forty Creek special releases never seem to hit Spokane, but I will find it if it does. Agree. 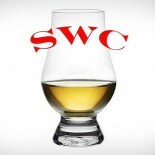 Decent whisky but nothing to write home about. Lot No. 40 is infinitely better for the same price. Yeah, we were not too impressed with the value for money. At best, this whisky should not exceed $30-35. But hey, I wouldn’t turn it down. Lot 40 any day of the week. I have the 10 year old, starting to enjoy it more and more. Can get get Danfields 21 years for $5 more (when available). Still, I have started to enjoy this more than when I first tasted it. See, I would love to try the 10, not just because its older but it will not have the flavoring additives we get in the states. I suspect the additives are the culprit here in regards to the sweetness overkill. When or if you are in Canada be sure and get your hands on a bottle of Ninety “Decades of Richness” aged 20 years in Oak at 90 proof. This is from Highwood Distilleries in Alberta and one of the finest whiskies in the world by any standards. Cost is under $50. 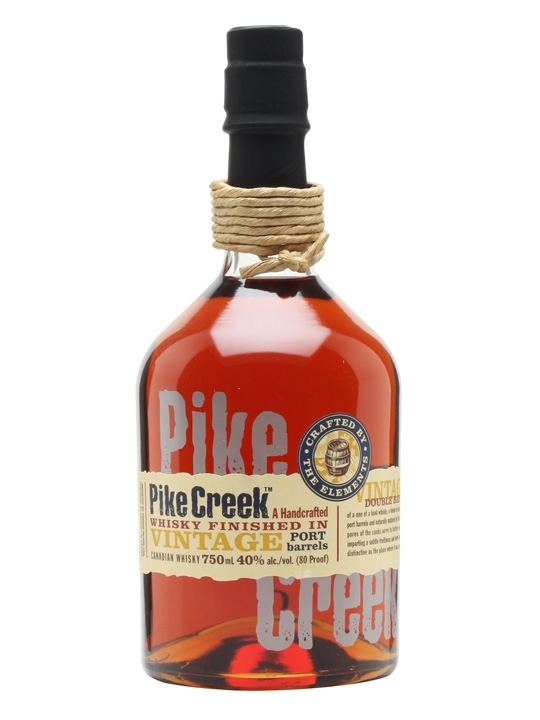 I got a chance to sample the American release of Pike Creek port finished, and although it is a bit on the light side, I quite enjoyed it. Looking forward to trying their rum release – but sad to read that the port releases are no longer made. It is difficult finding a good and affordable, port-finished bourbon, so this port-finished Canadian whiskey was quite a find. Any others like it?